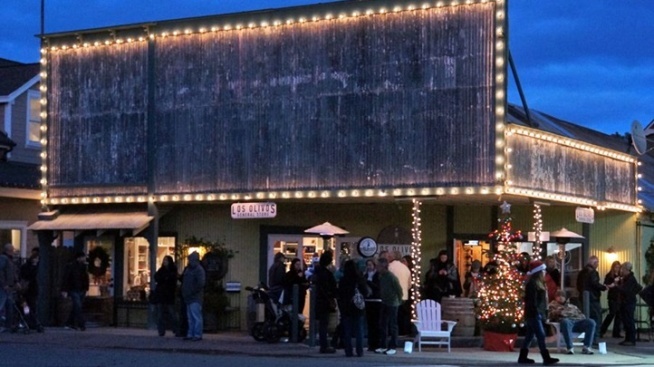 It's a delightful December kick-off, complete with kicky to-dos, in the wine country town. Begin the twelfth month with a considerable amount of cheer in the charmer of a wine country town. OLDE-FASHIONED CHRISTMAS... trots into town. Look for a brand-new holiday market to sell all manner of stocking-worthy, use-yourself-worthy artisanal items, while the Summerset Farm Christmas Train will toot-toot for five festive hours, beginning at 2 o'clock in the afternoon on Saturday, Dec. 1. Ho, ho, ho over to St. Mark's Parlor for a Santa Claus Sighting, make time for a visit with Elsa or an "Elf" screening, savor around-town caroling, and check out the tree lighting, after sundown, near the town's famous flagpole. Will there be treats to buy? Sips to savor? Count on it, as Los Olivos does have a foodie rep it certainly deserves. Bask in the olde-mazing action, just as the merriest month gets going, in one of the California's olde-est, and awesome-est, burgs.